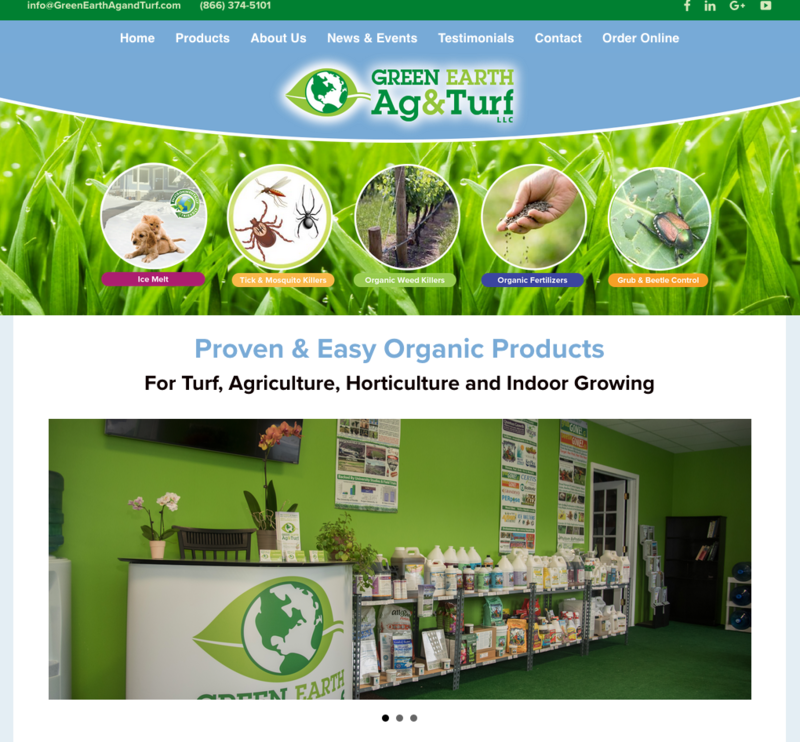 About 5 years ago we designed the initial branding for Green Earth Ag & Turf. At the time the company was just forming and Joe and Emily had one main product that they were selling. 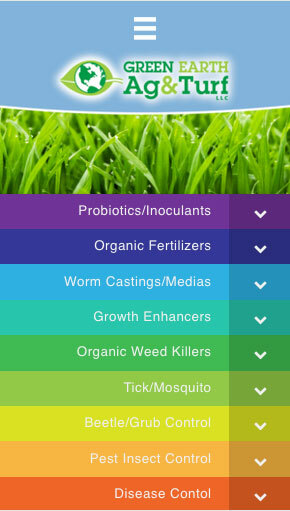 Five years later the company has grown into a national reseller of Organic Ag and Turf products. 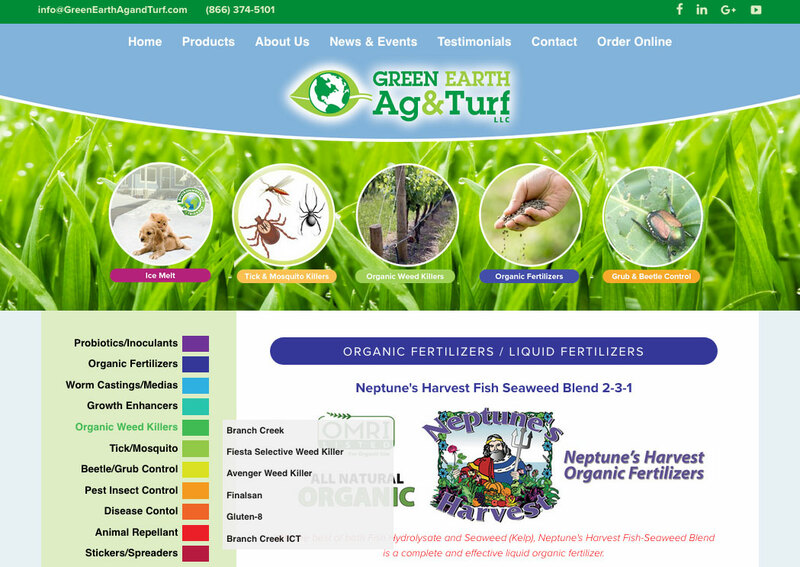 The original site was an old html site and over the years a mountain of information about each product was compiled. Our job was to rebuild the site in an easy to use and updated design that complemented their print catalog. We used our go to WordPress platform and a created an engaging site with over 100 products that can be thoroughly research on the site. The company sells wholesale and has a separate retail shop online. This site is designed to give an indepth understanding of each product with descriptions, technical specs, infographics, and videos. Halagan Design is a marketing studio specializing in web design and marketing for expert and nonprofit organizations as well as businesses interested in educating their audiences. Paul Halagan can be reached by email at paul@halagandesign.com or by phone at 203-689-3453. We are located in Guilford, CT.